I had purchased the most beautiful yellow tomatoes and figured I would make gazpacho. Gazpacho is by far one of my most favorite summer time soups. This one is fairly smooth. Before serving I added avocado and served with tortilla chips for a wonderful most satisfying meal. This is also super easy and you’ll look like a pro if you just follow these easy directions. You’ll need a decent blender and a few easy to obtain ingredients and you have a wonderful additional to any meal or a nice light lunch. This time I used beautiful yellow tomatoes, you can use any color you’d like and you can use any kind of tomato from the small grape or cherry tomatoes to the larger ones. 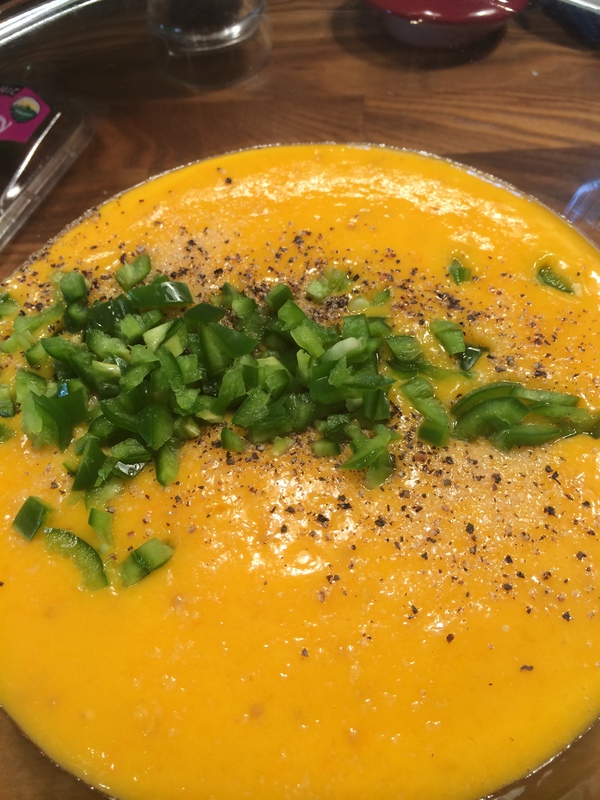 The yellow tomatoes with the flecks of jalapeno made a strikingly beautiful soup. 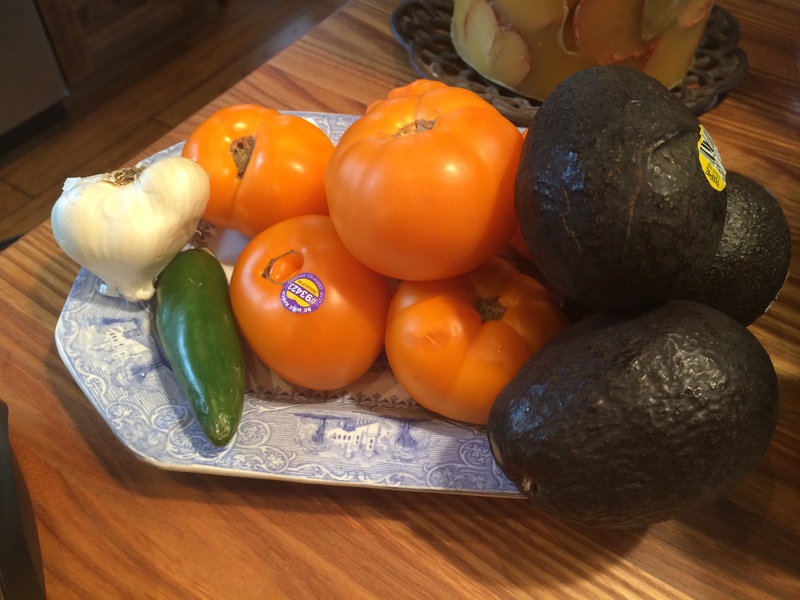 I have another recipe titled “Farm to Table Gazpacho” it’s more of a traditional gazpacho! I am going to re-post it as well. 2 lbs. yellow tomatoes, I used regular sized tomatoes. You can use yellow or orange cherry tomatoes and get the same effect. I washed and dried tomatoes and cut into quarters or halves for easier blending. Heirlooms are amazingly delicious when in season which they are right now! My sister makes this recipe by parboiling the tomatoes, removing the skin and cutting core out of tomatoes. This is an other option. I opted for the easier method but both are delicious and work well. 1 jalapeno, seeded and minced ( be careful handling jalapenos always, I use rubber gloves and be very careful not to get seeds on my hands) wash carefully after cutting up jalapenos, seriously. If you like more kick keep a few seeds from jalapenos. You can use Serrano Chiles also but I still think Jalapenos have the most bang for the buck. Diced avocado and tortilla chips for serving. In a blender, puree the halved tomatoes and garlic with 1/4 cup of water. While the machine is on I gradually add the olive oil until fully incorporated. Transfer to a bowl then stir in the jalapeno and season with salt and pepper. Refrigerate until chilled, at least an hour or so, better overnight. When you’re ready to serve ladle the gazpacho into bowls and top with diced avocado. Serve with tortilla chips. If you leftover shrimp it is also delicious to add and makes it more of a meal! This entry was posted in Raw, vegan, vegetables, vegetarian and tagged gazpacho, vegetarian gazpacho, yellow tomato gazpacho. Bookmark the permalink. 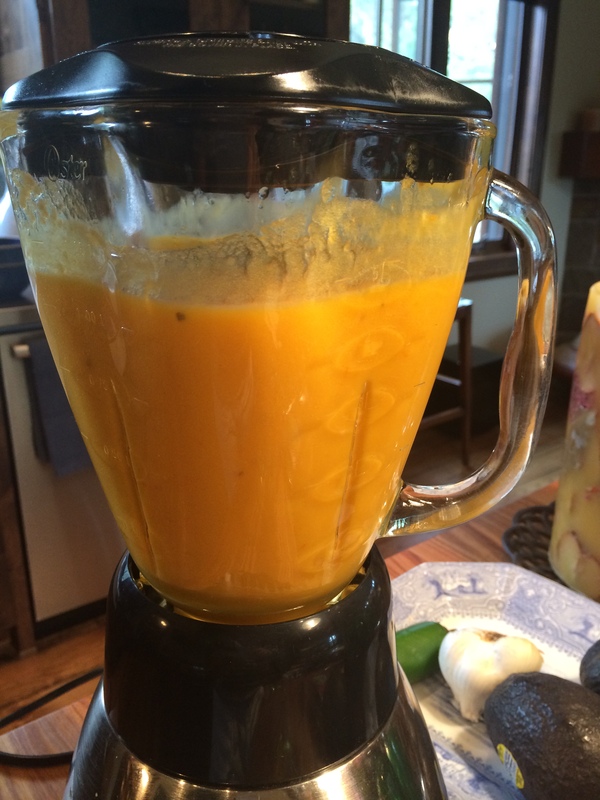 Here is a quick easy yellow tomato gazpacho made from beautiful heirloom tomatoes readily available now. I would also suggest looking at my other gazpacho recipe titled “Farm to Table Gazpacho” it is a more traditional take on gazpacho. 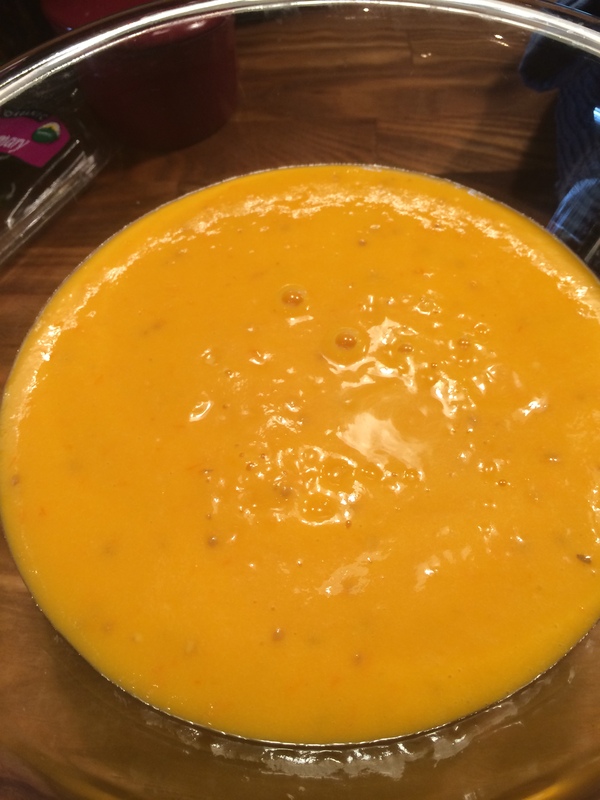 You can add different ingredients but this is a delicious simple one for you! Enjoy the last days of summer! Enter your email address to subscribe to Cooking with Candi and receive notifications of new posts by email.